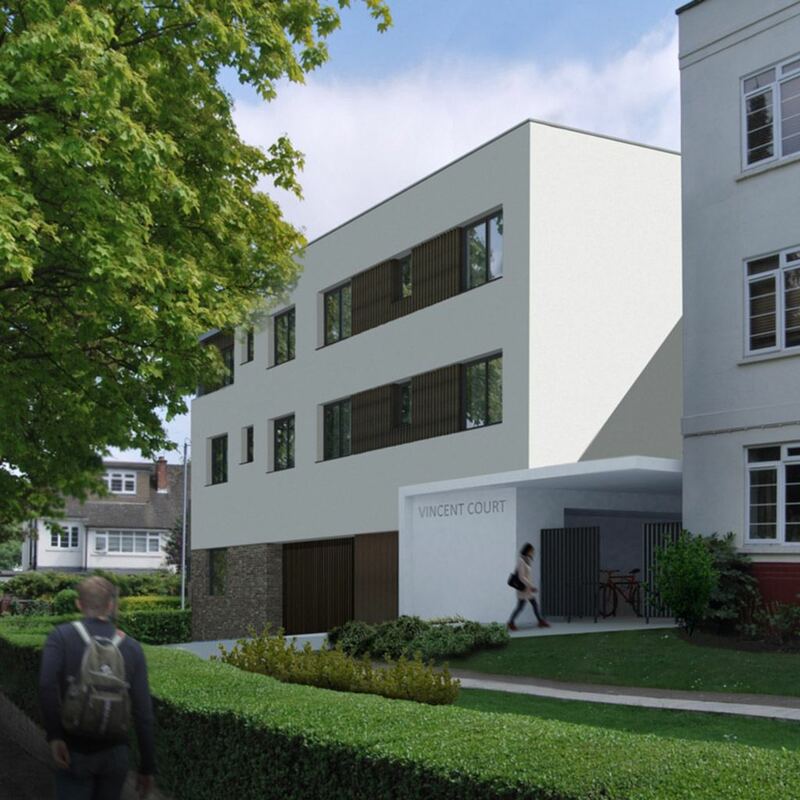 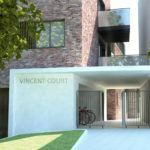 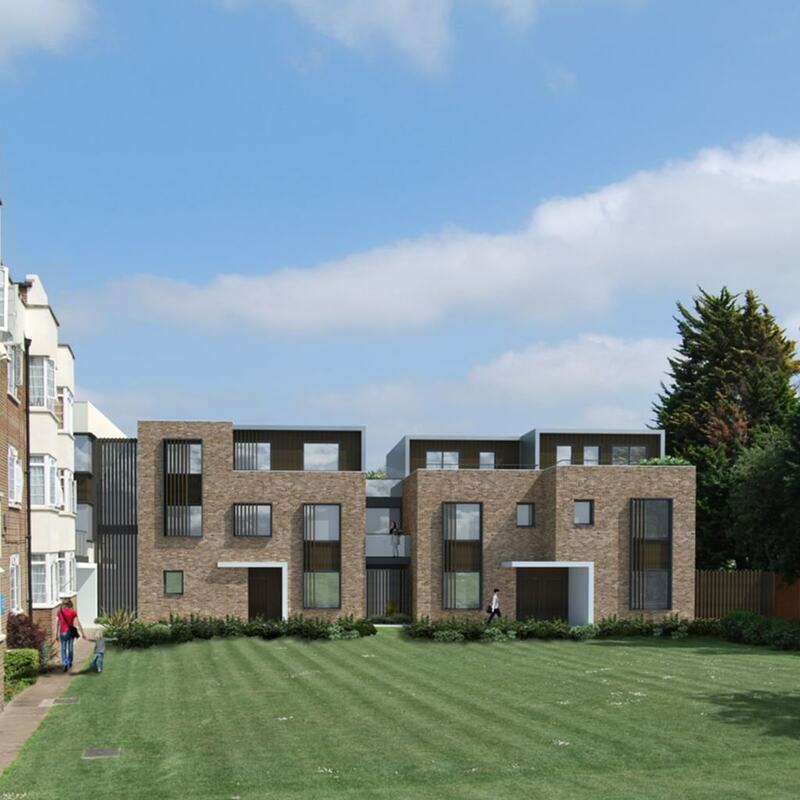 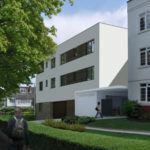 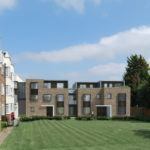 Infill development on under-utilised garage court to 1930’s art deco mansion blocks, providing nine new dwellings. 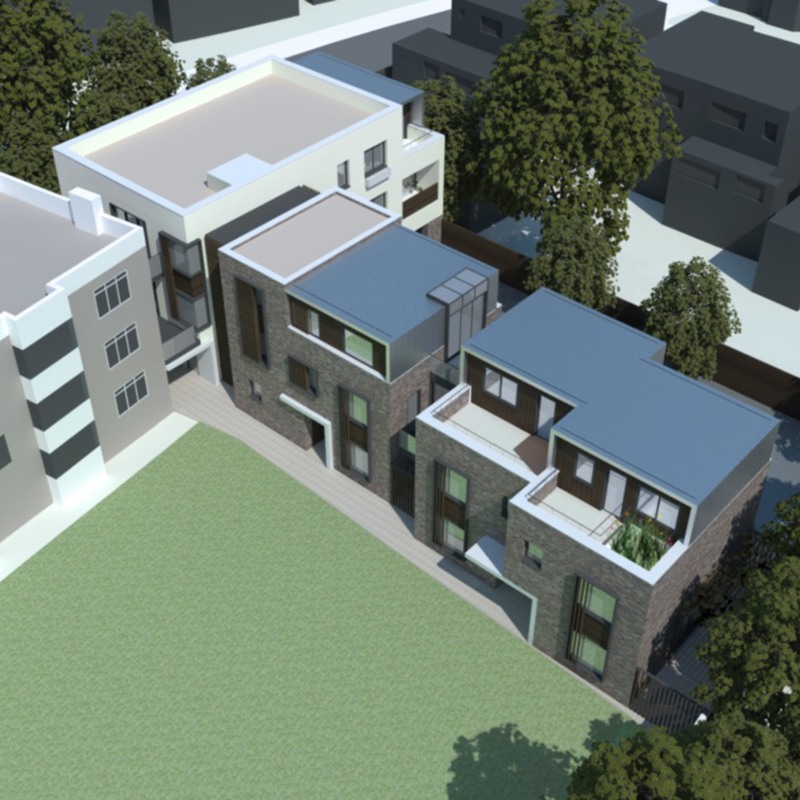 Three linked buildings provide a mix of large flats and houses. The new buildings are articulated to provide a transition in scale between the existing mansion blocks and the surrounding suburban houses.